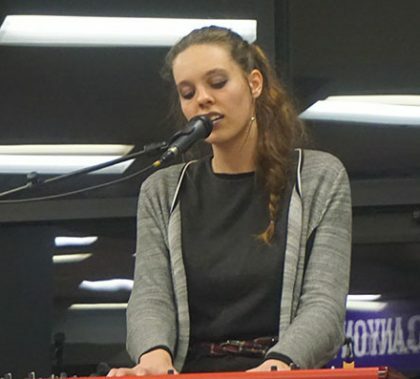 The fall 2016 Worship Arts Songwriter Showcase highlighted a dozen songs from Worship Arts students, molded around each other through a common theme of “struggle,” that affects everyone throughout life. The 12 songs will be combined with a dozen from spring semester and finalists will be chosen for a 12-track compilation CD. 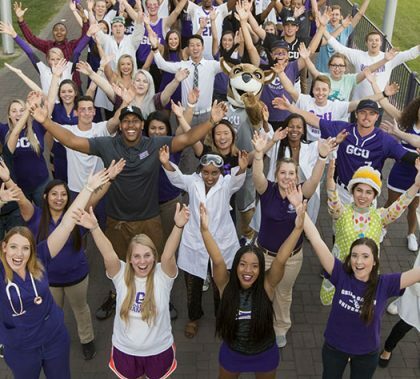 The Cantalopes, GCU’s resident improv troupe, is attracting a bigger audience with every performance, and it’s easy to see why. They put in a lot of hard work to be funny and genuine on the spot. 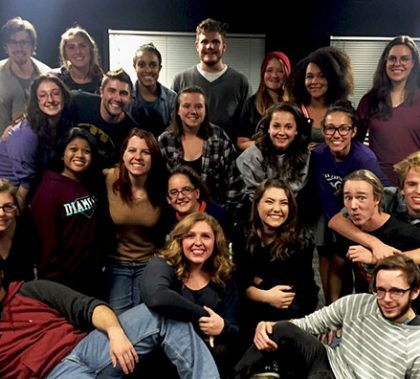 Every Monday, improv captain Kayana Sweeney teaches a free improv study hall that is open to all students. Cantalopes’ members hope to see students from every college not only at the classes but also at the twice-monthly shows. 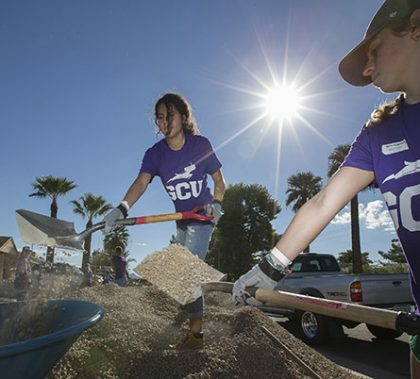 Students regularly go off campus to help the community around GCU, and, best of all, they do it with a smile. “I think we all understand the meaning of wanting to give back to a community that has blessed us,” said one. Barry Regan, director of the University’s Speech and Debate Team, was given an award at a recent conference for his leadership of a team that continues racking up successes. The 21-member group finished the fall season with a flurry of outstanding performances as it looks forward to its next contest in January. 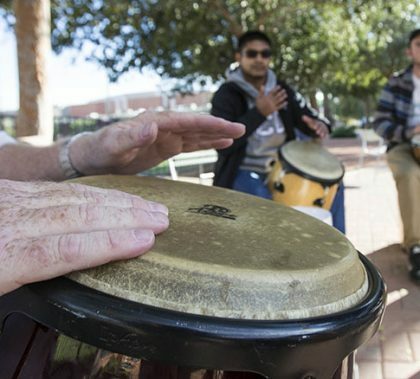 The rhythmic percussion heard most Thursday afternoons on Grand Canyon University’s campus is courtesy of Dr. Tim Larkin, who sets up his bongos, congas and other hand drums for any passerby wishing to join these jam sessions. It’s Dr. Larkin’s seventh year teaching in the College of Humanities and Social Sciences and third year of doing these drum circles, his way of building community and creating social ice breakers. 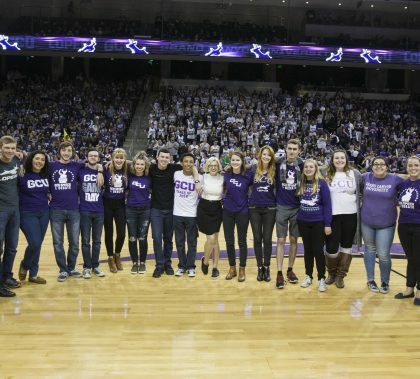 A festive pregame campout, followed by a wild, Havocs-led scene for the game against No. 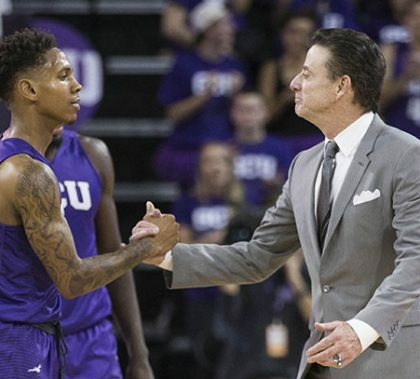 14-ranked Louisville on Saturday night at GCU Arena. What could be better? Well, the Lopes almost answered that question as DeWayne Russell scored 42 points and they made the Cardinals sweat for a 79-70 victory. 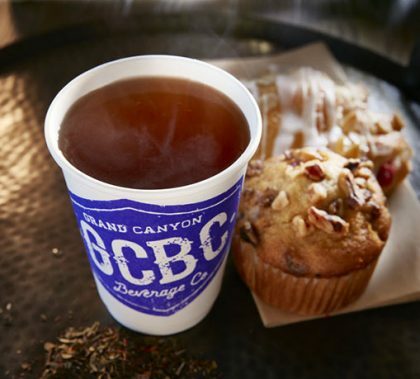 GCU is a fast-growing university, but it has maintained its small-town feel as it keeps adding new amenities and attractions. Students say that everything they need is right here on campus, but their affinity is about more than mere conveniences. 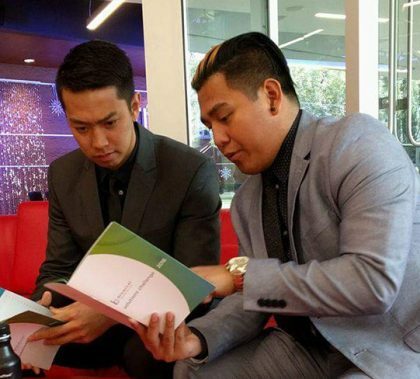 What they love most, they say, is the culture. 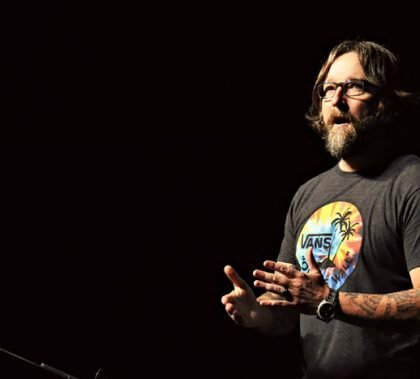 Tim Beal of Cornerstone Christian Fellowship used the 11th chapter of Matthew to drive home his Chapel message Monday morning: Life is going to be filled with all sorts of circumstances, many of them challenging, but they should never take our focus away from Jesus.